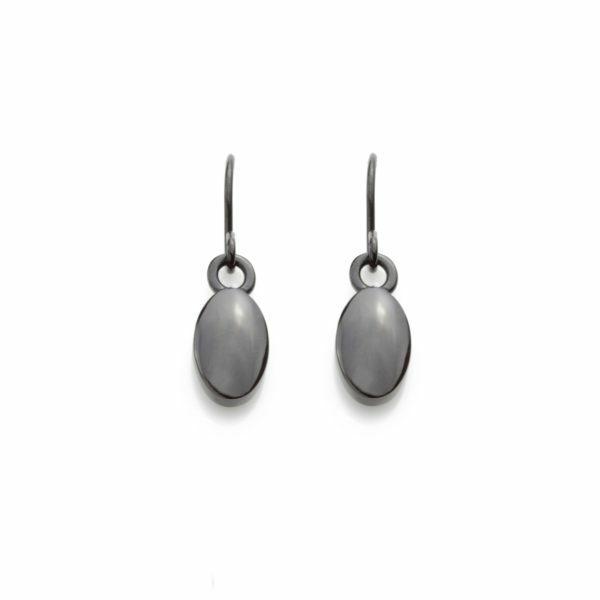 A new collection of Ruthenium plated jewellery that has a dark and lustrous appeal. Each ‘Pillow’ ear drop is created by hand and hand polished to ensure they meet Angela’s exacting standards. They are plated with Ruthenium, one of the rarest precious metals on earth. Each earring is hand made and hand polished in London. Dimensions of each oval ear drop: 6.9 mm x 4.2 mm x 25 mm. Weights may vary slightly.